Kushal is a sophomore (C’21) from Reading, PA studying International Relations with a minor in Legal Studies and History. 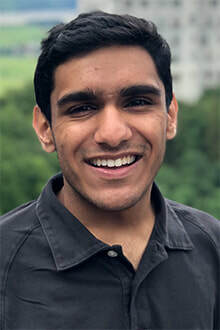 Aside from being a Deputy Blog Editor for PULJ, Kushal sings with the a cappella group Penn Masala and is involved with the International Affairs Association. When he’s not in Van Pelt or at rehearsal, you can find him catching up on The Handmaid’s Tale or planning a trip somewhere.